Don’t head to the local Sheriff’s Office. You don’t have to try to find individual on-site fingerprinting services from a directory. You may call multiple phone numbers where you just end up leaving a message on an answering machine. Let Hawkins Investigations help you with all of your fingerprinting needs. We offer on-site Fingerprinting services. Once there, we will provide all of the necessary equipment and materials, including the applicant’s fingerprinting cards. Rest assured that the mobile fingerprinting services will be done correctly and professionally with Hawkins Investigations! On-site fingerprinting is an ideal solution for companies of various sizes that are required to fingerprint their employees. By traveling to your location, the time required for fingerprinting is reduced from hours per person to mere minutes! Our conscientious, trained staff makes the fingerprinting process quick and highly accurate! 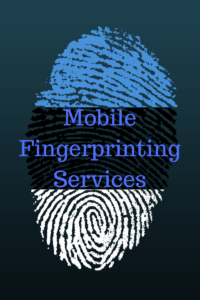 To begin the process, you would need to schedule an appointment to determine the requirements of your mobile fingerprinting services. It is important that an appointment be made. The date and time will depend on the number of employees to be fingerprinted and the availability of our technicians. Next, each individual applicant will need to bring with them the proper form of picture I.D. for fingerprinting. This can include, but is not limited to, a current State issued ID or driver’s license, Out of State driver’s license, passport or Military ID. Once the fingerprints have been processed we will supply you with the completed applicant cards for processing.